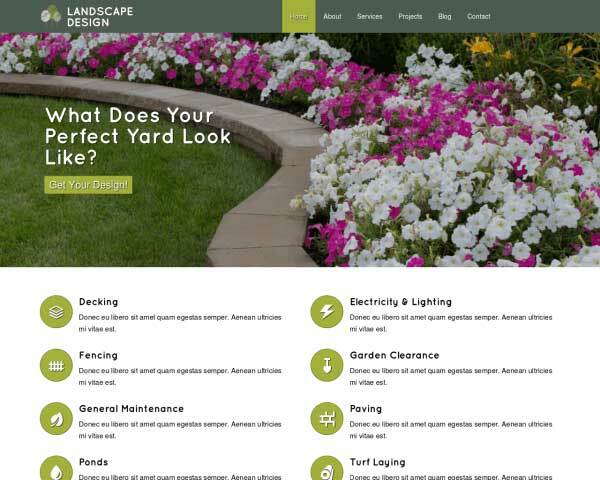 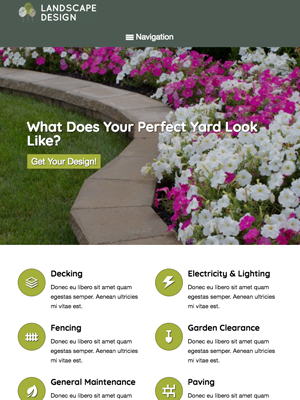 Are you looking for a website for your landscaping company that is both beautiful and professional at the same time? 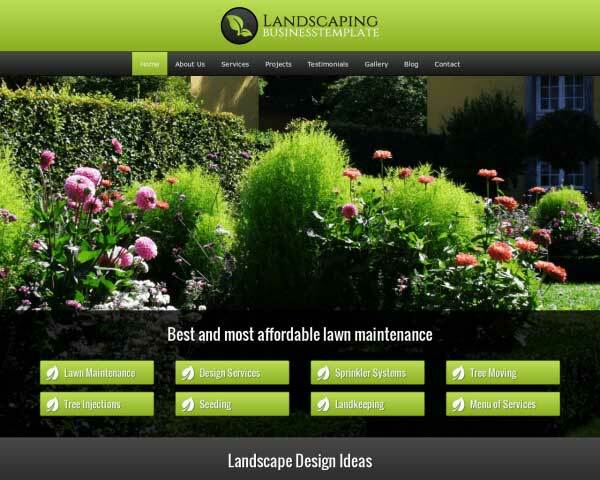 The Landscape Design WordPress Theme is the right template for your needs. 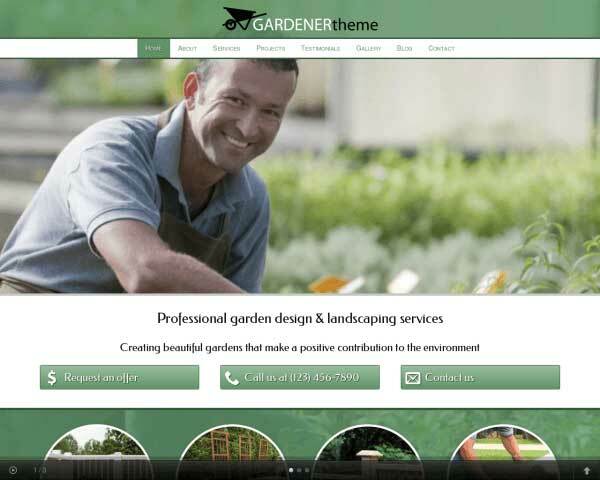 Check out the live demo now by pressing the button below. 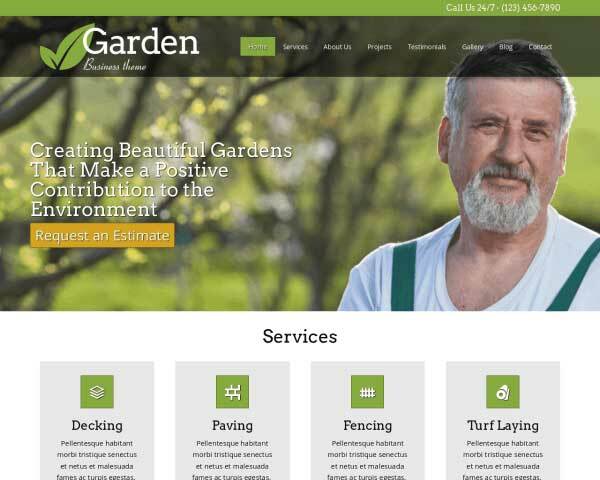 You've got your business up and running. 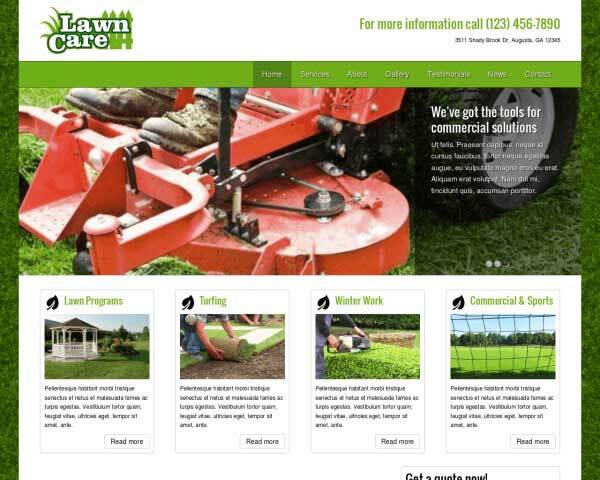 Now all you need is a sleek online presence for potential clients to find you! 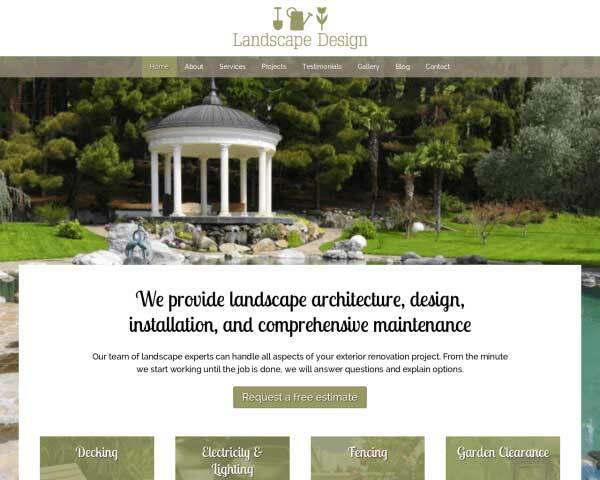 Our Landscape Design WordPress Theme helps you get your website online fast, giving your visitors an exciting and informative overview of your services while giving you extra time to focus growing and expanding your business. 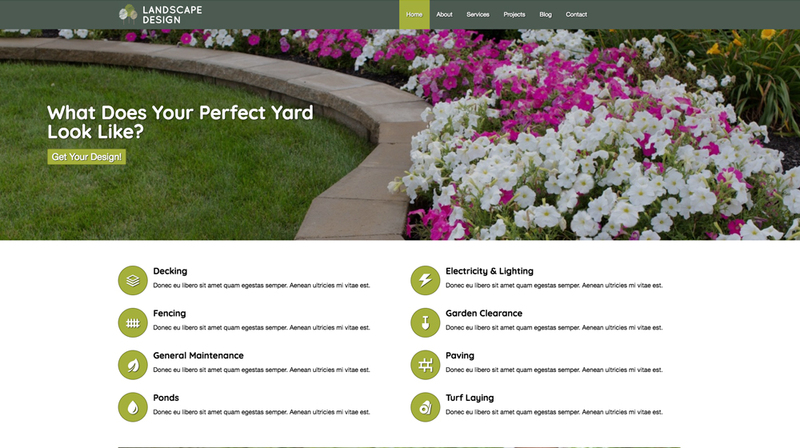 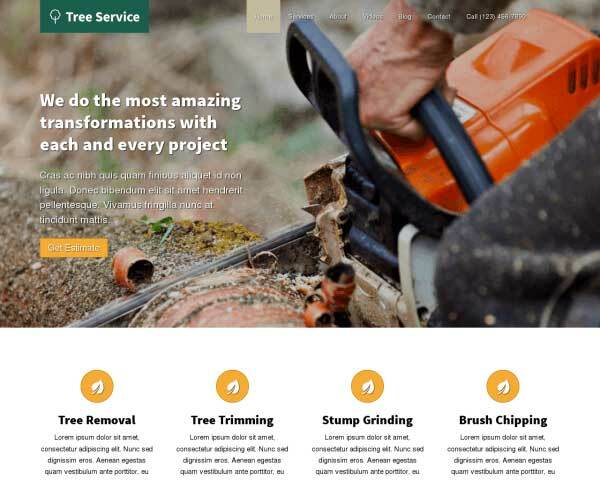 Presenting your clients with a state-of-the-art mobile version of your website helps to reinforce the message that your landscaping business is modern, accessible and up to date with the latest practices. 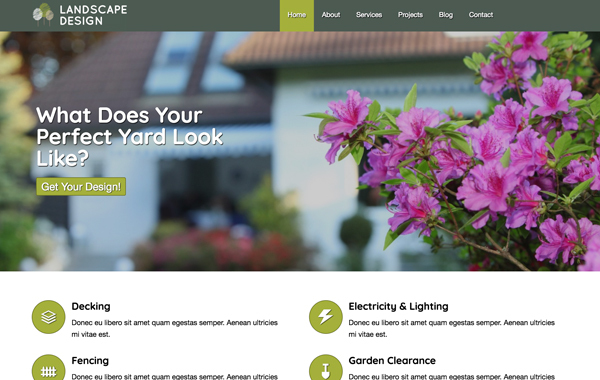 The responsive Landscape Design WordPress Theme is mobile-optimized right out of the box, automatically adjusting the layout of your content to fit neatly on any screen size. 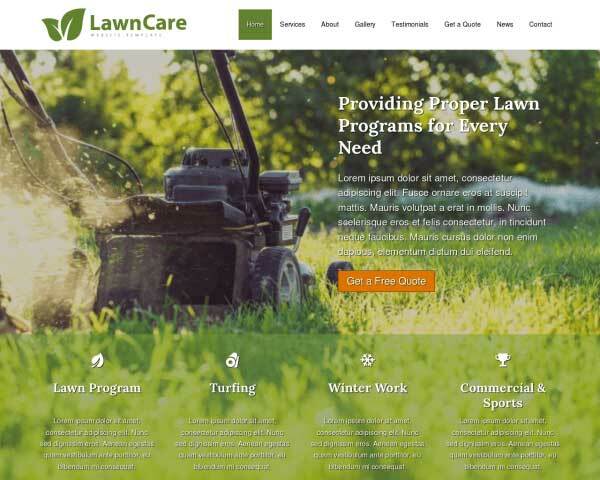 You can rest assured that visitors accessing your website on smartphones and tablets will enjoy the same professional design and user-friendly functionality of the desktop version.